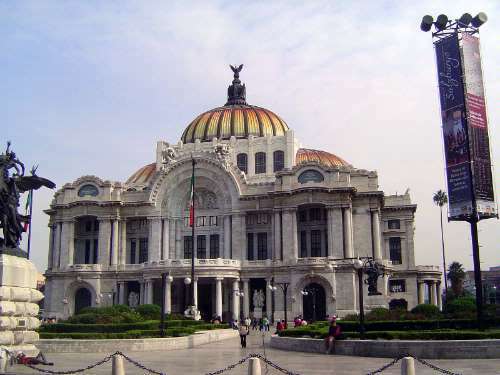 The apogee of Porfirian monumentalism and an intended rival to the Paris Opéra, the Palacio de Bellas Artes was begun by the architect Adamo Boari. Díaz himself placed the cornerstone in 1904, and work was supposed to be finished by 1910. Instead, work stopped in 1913 and Boari left Mexico in 1916. Nothing happened until 1932, when work resumed under the direction of Federico Mariscal, a student of Boari. The building was finished quickly and opened in 1934.